What happens when clean water is gone? With no clean water thirst rules you. Contaminated water is sipped. Ugly parasites slither to your intestines. You have diarrheal illness; no more stool, just liquid excretion. Dehydration drives your thirst for any fluid. Life is challenged by parasites in a dehydrated body suffering prostration. Hypovolaemic shock yet? Thirst wins. You drink from a puddle. You activated Cholera? Typhoid? Dyptheria? Extreme physical weakness sets in. Diahrea worsens. You lie where you collapsed in your own waste. Death over 3 days is painful. That's Mosul. With no water there is no life. Water supplies are not safe without at least boiling however much of the supply has been contaminated with the pollution of war. Ten days was a generous estimate. That was at the end of November. Now it is 2019-04-23 and the crisis is acute; Mosul patient deaths are high. The Mosul city-wide fatality rates are unknown but extreme and worsening. Close to the Tigris River here, public health is very bad. As we have warned before the very young and the very old are the first to die. Medical Staff in Mosul are reporting an increasing occurrence of what appears to be "severe crypto" cases among the Mosul patients they are seeing on both sides of the Tigris River in Mosul Iraq. A second problem appears to be chemical poisoning among Mosul patients who may have in common their drinking of standing water near the river and in the western industrial areas. Extreme gastrointestinal pain, prostration, diahrea AND vomiting are new symptoms. Clean water supply problems began with the arrival of the Islamic State in Mosul on June 6, 2014. Shortly after Daesh took over on June 14th, one of the water purification plants in northern Mosul was hit by Kurdish Peshmerga militiamen. The resulting stink of chlorine woke us all up. The next day there was no water at RSAC-M1 clinic. At some point later in 2014 the Daesh began a campaign aimed at gaining support and respect. Within the context of Sharia Rule they began being "Nice" to the civilians. That project ran off and on for a year. The electricity and the water came back on intermittently but the infrastructure of Mosul was never very good and the IS had trouble getting things working, especially when they got mad at civil engineers and chopped their heads off. Fools came in instead, many from Raqqa. The water in some of the 152 neighbourhoods of Mosul made people sick. In fact it was putrid. From that point onwards we began to learn about waterborne illness in a big way. In early 2015 we encountered our first cases of Cholera. We had no idea where they came from, maybe downstream along the Tigris, but more probably imported from the Euphrates river when many Daesh fighters came to Mosul from the Kobane region of Syria. Meet Mr. Abu al-Crypto, a member of Daesh. Download detailed procedures for coping with 'Crypto' outbreak in a school or office. Note that no disinfectant is guaranteed to be completely effective against Cryptosporidium. However, a 3% hydrogen peroxide soaking for twenty minutes is more effective than standard chlorine solutions. Without potable water, there will be no life. 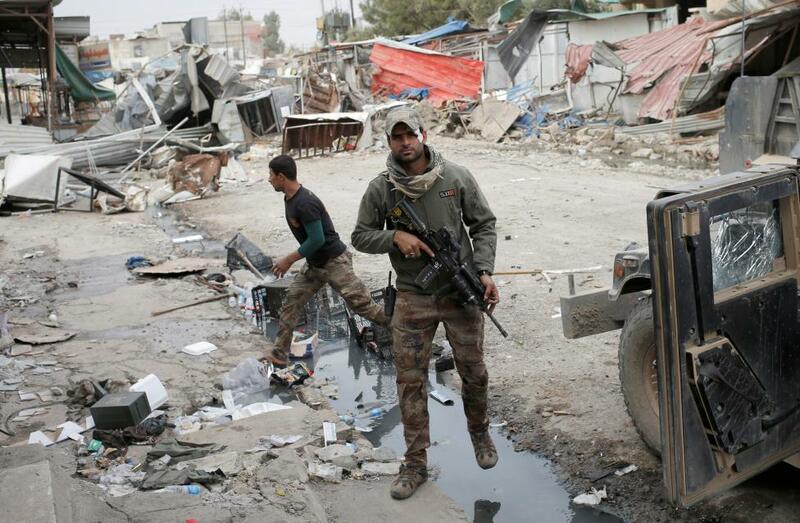 We are witnessing the incipient stages of 'the end' of Mosul. Deterioration will be rapid from here. While the occurence of parasites in standing water and 'roof tanks' is the first sign of a decaying infrastructure, the worst has yet to come. Rats are now flourishing in the core of the city and in many of the destroyed neighbourhoods of Mosul, particularly in the eastern supburbs. Often rat babies are found floating in roof tanks. Rats are feeding on human cadavers buried in civilian homes by Iraqi artillery shells and Daesh mortars. We sense Cholera incidence is rising and will become an epidemic impacting a large part of the Middle East unless there is a significant turn of events. The seriously contaminated standing water as well as a damaged water table are ripe for waterborne disease. The water table is damaged by explosions of chemicals or ordnance; thousands of rotting bodies; plus human waste from broken sewage pipes and junctions. These contaminants slither to a deeper groundwater with the late fall rains. Wells are potentially dangerous. Examples of waterborne disease not yet discussed in detail. Some of these we will not likely see here. "Crypto" refers to a gastrointestinal condition related to the 'Cryptosporidium' parasite. It is a microscopic parasite that causes the diarrheal disease cryptosporidiosis. 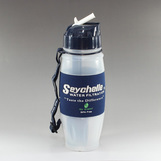 Cryptosporidium is chlorine-resistant and can live for days in chlorine-treated water therefore it must be filtered. 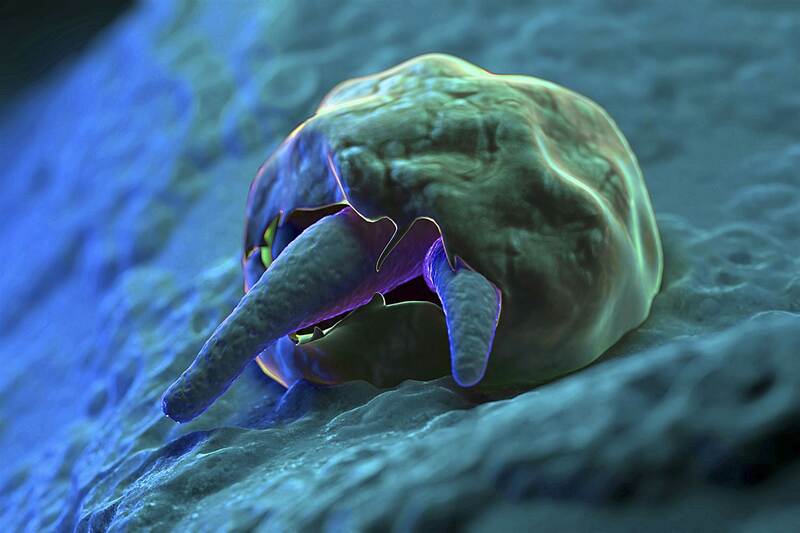 Cryptosporidiosis is often not curable. It must be prevented with clean drinking water. We first reported the rapidly increasing occurrence of this disease in mid-summer 2016 and warned soldiers in the region to beware of drinking water that was not treated. The spread of diseases is accelerated by poor hygiene (no water), poor sanitation (no water), and re-ingestion, infection and acceleration of the diseases from infected water. Crypto kills in a vicious circle of dehydration and a compulsion to drink water, any water. But there is only contaminated water. The Mosul patient presents after several days of extreme diahrea and dehydration. They have no water but will drink anything and they do. They drink infected, contaminated water out of desperation or just not knowing it is dangerous. By this time they are near death. Nitazoxanide has been approved for treatment of diarrhea caused by Cryptosporidium in people with healthy immune system. Most people who have healthy immune systems will recover without treatment. Diarrhea can be managed by drinking plenty of fluids to prevent dehydration. Young children, the elderly and pregnant women may be more susceptible to dehydration. Rapid loss of fluids from diarrhea may be especially life threatening to Mosul's little babies. Anti-diarrheal medicine may help slow down diarrhea, but a health care provider should be consulted before such medicine is taken. People who are in poor health or who have weakened immune systems are at higher risk for more severe and more prolonged illness. That includes about 600,000 civilians, says the United Nations. So many people are riddled with illness, malnutrition, stress-related illness and yet undertermined pathogens, hence they are vulnerable. 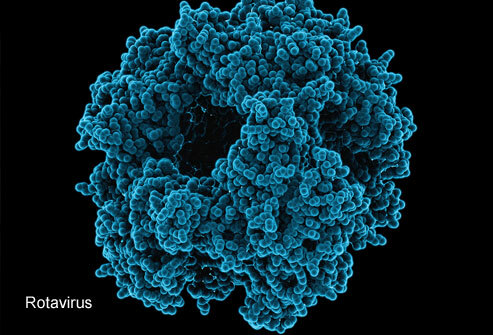 The effectiveness of nitazoxanide in immunosuppressed individuals is unclear. For persons with AIDS, anti-retroviral therapy that improves immune status will also decrease or eliminate symptoms of Crypto. However, even if symptoms disappear, cryptosporidiosis is often not curable and the symptoms may return if the immune status worsens. Death is likely in Mosul. Vibrio cholerae, rotavirus, enterotoxigenic Escherichia coli infected Mosul patients are also presenting. We now have a very limited ability for evaluating pathogens. Hospitalization is unavailable. Our largest hospital/clinic has been bombed a couple of times by the Iraqis and is now rubble. (We are not ever going to get along with Baghdad, it seems.) We have one sophisticated clinic/emergency hospital and 11 makeshift locations 8 of which are in residential homes. We take a grave risk in sharing this information and hope to get a good result and trust the military advisers who promise a speedy resolution to the war-fighting conflict in Mosul that is also killing Mosul patients IN GREAT NUMBERS. We need someone to buy water purification bottles (click for explanation document) for families in Mosul. ('Lifesaver': Read an alternative size and brand's test results.) Then we need them air-dropped to the residences in Mosul on the East side and on the West side (Left and Right Coasts) where the water supplies have been completely cut off. 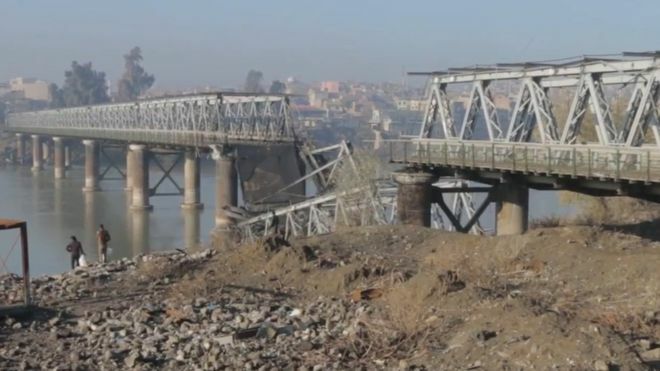 All areas of Mosul are effected by poor water supply and food rationing but the acute problem is along the river on both sides and in the heart of the east side radiating outward and south from the general area of old (destroyed) City Hall to south of Bridge Four, the old iron bridge. The water mains are bomb-damaged by the US-Led Coalition which includes B-52 heavy bombers and a wide assortment of air-to-ground fighter/bombers, bombers, helicopters and a range of sophisticated heavy ordnance that has been leveling cities in Iraq and Syria and killing many tens of thousands. Since 2003, it is estimated that upward from 500,000 Iraqi civilians have been killed by such ordnance. The point is that the benchmark for tolerating loss-of-civilian-lives needs to come down a long way. In a few months that number will be matched in one city alone, if the slaughter in Mosul does not come to an end. 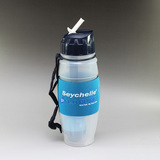 Ringers and saline IV are all we have for fighting severe dehydration caused by these diseases. Sometimes it takes two or three ringers to bring a Mosul patient back. This has to get fixed. You have money for expensive bombs. Find some money to provide water for the civilians you say you are "liberating". We're tapped. We can help distribute bottles but we need the money to buy them. Or you buy them and drop them instead of bombs. Each Mosul family needs CLEAN DRINKING WATER. We have found a way to provide safe water. It is the same system that the US Marines use when deployed in harsh environments. Those American special operations soldiers currently in Mosul as well as British SAS and Iraq's Golden Division all use the same type of device for man-pack provision of clean water. You can put any kind of dirty water in them and drink in complete safety. Even living microorganisms are removed and killed. Among all the medications we have used are Erythromycin for milder cases but with greatest effect we have used Azithromycin. We have none left but are getting more. With the former, the action of the antibiotic is too slow and the Mosul patient may die anyway because their care at home is restricted. They need clean water and a lot of time for their bodies to kill the Crypto parasites and 'germs' from Cholera and other ecoli-spread diseases that cause their illness. For a long time the availability of clean water in Mosul has been unreliable. Moslawis have water tanks in the tops of their buildings which they use for cleaning. That water we have tested shows traces of parasites, rat urine, and chemical toxins that are probably airborne. Shocking the water with chemical treatments or filtering it with sophisticated reverse osmosis and other devices is the only way that water is potable (drinkable by humans). According to the USA Centre for Disease Control, "Cryptosporidiosis is a diarrheal disease caused by microscopic parasites, Cryptosporidium, that can live in the intestine of humans and animals and is passed in the stool of an infected person or animal. Both the disease and the parasite are commonly known as "Crypto." The parasite is protected by an outer shell that allows it to survive outside the body for long periods of time and makes it very resistant to chlorine-based disinfectants. 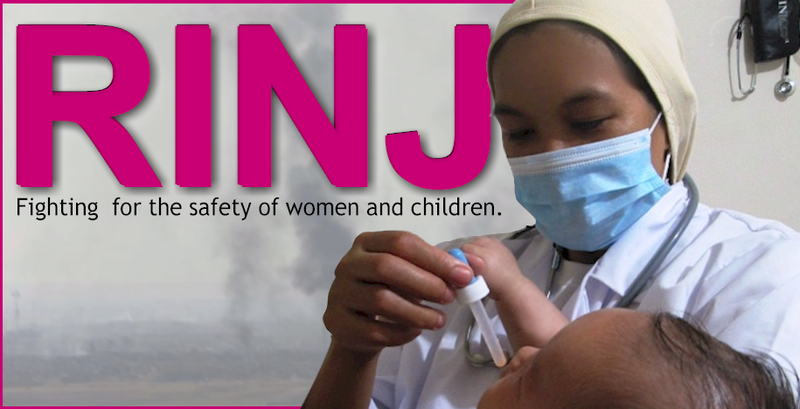 During the past 2 decades, Crypto has become recognized as one of the most common causes of waterborne disease (recreational water and drinking water) in humans..."
‣ The RINJ Foundation seeks to eliminate all forms of violence against women and girls, including by ending impunity and by ensuring the protection of civilians, in particular women and girls, during and after armed conflicts, in accordance with the obligations States have undertaken under international humanitarian law and international human rights law. Children with signs of severe dehydration can die quickly from hypovolaemic shock. They should be treated immediately. treat suspected cases of cholera with an appropriate antibiotic. The treatment of choice for severe dehydration is IV rehydration, because it is the most rapid way to restore the depleted blood volume. Intravenous rehydration is especially important if there are signs of hypovolaemic shock (i.e., the Mosul patient has a very rapid and weak, or absent radial pulse, cool and moist extremities; the patient is very lethargic or unconscious). Alternative routes for fluid replacement should only be considered when IV rehydration is not possible or cannot be obtained nearby, within 30 minutes. If IV therapy is not possible, a nasogastric (NG) tube can be used to give ORS solution, provided there is a person trained in its use. However, this approach is not as satisfactory as IV infusion because the fluid cannot be given as rapidly and additional time is required for it to be absorbed from the intestine. The maximum rate of fluid infusion is about 20 ml/kg/hour; with higher rates, abdominal distension and repeated vomiting are frequent problems. If IV and NG therapy are not possible, or will be delayed, and the child is able to drink, ORS solution should be given by mouth at a rate of 20 ml/kg/hour. This approach has the same disadvantages as NG therapy; moreover, it cannot be used for Mosul patients who are very lethargic or unconscious. Children under 2 years should be given ORS solution by spoon, about one teaspoonful per minute; older children and adults may drink the solution from a cup. Patients with abdominal distension caused by paralytic ileus should not be given ORS solution either orally or by NG tube. If fluid replacement is not possible by any of these routes, refer by Blackberry message and indicate "Urgent-Child" to the nearest peer at one of our centres where IV or NG therapy can be given. A variety of different solutions is available for IV infusion. However, some do not contain appropriate amounts of the electrolytes required to correct the deficits found in dehydration due to diarrhea. Ringer's Lactate Solution (also called Hartmann's Solution for Injection) is the preferred commercially available solution. If it is not available, normal saline (0.9% NaCl), half-strength Darrow's solution with 2.5% or 5% dextrose or half-normal saline in 5% dextrose may be used. IV solutions containing only dextrose (glucose) should not be used. IV therapy should be given only by trained persons. Needles, tubing, bottles, and fluid must be sterile. IV therapy can be given in any convenient vein. Those most suitable are in front of the elbow (antecubital vein) or, in infants, on the scalp. In cases of hypovolaemic shock, particularly in adults, simultaneous infusion into two veins may help to restore blood volume rapidly. When a peripheral vein cannot be found because of severe hypovolaemia, a needle may be introduced into the femoral vein where it must be held firmly in place. (The femoral vein is located just medial to the femoral artery, which can be easily identified by its pulsation.) A large amount of fluid can then be infused very rapidly. The IV site should be changed to a peripheral vein as soon as one becomes evident. A venous incision ("cut-down") should not be necessary; this takes longer to perform and is liable to become infected. If IV therapy will be delayed and the patient is able to drink, start giving ORS solution by mouth until the drip is running. If possible, Mosul patients with severe dehydration should be weighed so that their fluid requirements can be determined accurately. The fluid deficit in severe dehydration equals about 10% of body weight (i.e., 100 ml/kg). Infants should be given IV fluid at a rate of 30 ml/kg in the first hour, followed by 70 ml/kg in the next 5 hours, thus providing a total of 100 ml/kg in 6 hours. Older children and adults should be given IV fluid at a rate of 30 ml/kg within 30 minutes, followed by 70 ml/kg in the next 2.5 hours, thus providing a total of 100 ml/kg in 3 hours. For all Mosul patients it is useful to mark the IV fluid bottles, indicating the level the fluid should reach after each hour of infusion. After the first 30 ml/kg have been given, a strong radial pulse should be easily felt. If it is still very weak and rapid, a second infusion of 30 ml/kg should be given at the same rate; however this is rarely necessary. Small amounts of ORS solution should also be given by mouth (about 5 ml/kg/hour) as soon as the Mosul patient is able to drink, in order to provide additional potassium and base; this is usually possible after 3-4 hours (infants) or 1-2 hours (older Mosul patients). any difficulty in giving fluids. Signs of a satisfactory response to rehydration are: return of a strong radial pulse, improved level of consciousness, increased ability to drink, much improved skin turgor, and passage of urine. When these are seen, the interval between reassessments can be lengthened. If the signs of dehydration remain unchanged or become worse, and especially if the Mosul patient has also passed several watery stools, the rate of fluid administration and the total amount of fluid given for rehydration should be increased. An NG tube (size 6-8 French for a child, 12-18 for an adult) should be placed by a person trained in its use. Signal for a circulating nurse to help you even if by BBM is OK. While the tube is in place, the head should be kept slightly raised to reduce the risk of regurgitated fluid entering the lungs. Patients with severe dehydration should receive about 120 ml of ORS solution per kg of body weight over 6 hours, administered at a steady rate of 20 ml per kg per hour. This rate should be reduced only if there is repeated vomiting or increasing abdominal distension. Patients should be reassessed every 1-2 hours until a satisfactory response to treatment is seen. If the signs of dehydration fail to improve or become worse after 3 hours of attempted NG rehydration, this approach is not likely to be successful and the patient should be sent urgently to a facility where IV treatment is possible. The amount of fluid to be given orally and the monitoring of patients during oral rehydration are the same as described above for NG rehydration. It is helpful to measure out the amount of fluid required each hour into a glass or other container, even though it may be given by spoon. If a patient cannot drink the required amount of fluid or vomits frequently, the rate of administration should be slowed and the rehydration period lengthened. If signs of dehydration fail to improve or become worse after 3 hours of attempted oral rehydration, the patient should be sent urgently to a facility where IV treatment is possible. Before leaving, inspect foodstuffs and existing water supply. Call for evac and transport if available only if the child cannot be fed. Check mother's health and lactation for a solution, post-re-hydration. If you are not confident in the survival of the child, the risk is warranted to evacuate if you feel you can be safe. Escalate if able. Mix well the rice cereal (or sugar), water, and salt together until the mixture thickens but is not too thick to drink. Give the mixture often by spoon and offer the child as much as he or she will accept (every minute if the child will take it). Continue giving the mixture with the goal of replacing the fluid lost: one cup lost, give a cup. Even if the child is vomiting, the mixture can be offered in small amounts (2-1 tsp.) every few minutes or so. Banana or other non-sweetened mashed fruit can help provide potassium. Continue feeding children when they are sick and to continue breastfeeding if the child is being breastfed.